When someone says "Gear Up", any well-versed electronic music fan will think of 20-year-old producer, Crankdat. Since his career popped off in 2015 (thanks to his viral "Trap Queen" remix), this independent, motivated statement has become a tagline for everything the Ohio native represents—nods to it can be seen everywhere from his official merch, to his Twitter bio, to his tour admats. The meaning behind the mantra? According to his press release, it's "a tagline that applies to all of his fans who prep themselves for the next adventure of his." So far, 2018 has been chock full of said adventures—the rising star hit the decks for Holy Ship, which served as the unofficial kickoff to his 17-date Outcast Tour. The run, which started last week in Denver, will take the "Reasons to Run" musician across North America, until it wraps in Edmonton on March 2. 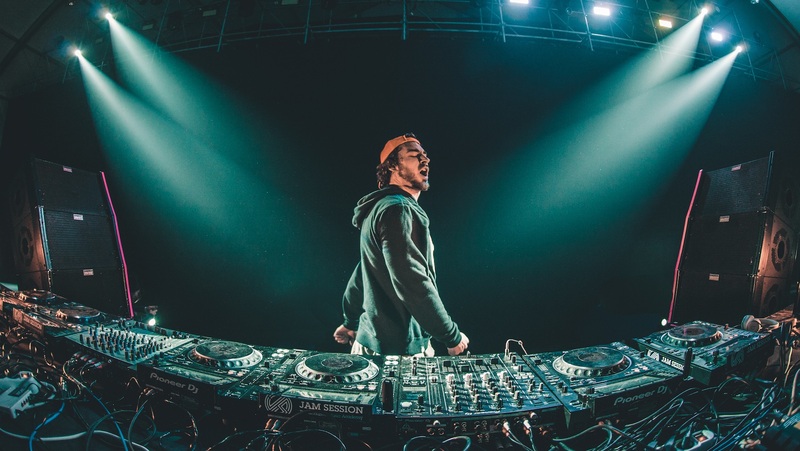 We wanted to find out what Crankdat (aka Christian Smith), will be listening to on the road, which includes songs by everyone from Nahko to Lil Xan. Check out his eclectic picks below, follow the playlist on Spotify, then make sure to Track the producer on Bandsintown to see him in your city! "I heard this song on the show 13 Reasons Why and absolutely love it. Will forever be one of my all-time favorite songs." "One of my favorite hip-hop songs to come out in years, just way too catchy." "'Betrayed' is a total vibe. I can’t wait to drive around listening to this tune in the summer." "Sometimes I just like music to chill to. This song is a masterpiece, perfect for just relaxing." "Renegade" is the best Axwell Λ Ingrosso track ever...well maybe not, but this one is my favorite...maybe." "Louis Futon thinks I look like Post Malone. I think Louis Futon sounds like Flume, but like if Flume lived underwater and did some trippy things. This song is awesome." "Sometimes I’m in the mood to smash my face off a wall...in a good way. This is my go-to song for that." "I first heard this song from deamau5’s 2014 Ultra set where he filled in for Avicii. It's been in my playlists ever since." "This song takes everything good about trap music and makes it even better." "Illenium's "Leaving" is a masterpiece. I love that phone call in the intro, reminds me of "Marvins Room."